EasyMarkets is one of the pioneer brokers that have taken the financial market to great realms. It is one of the sought after online brokers in the present time. It was established way back in 2003 and is one of the oldest and most reliable brokers you will ever come across. With a presence in more than 160 countries globally, it has its market presence in every major nation with a huge list of ardent traders. It is a legitimate broker which is regulated by several agencies like for instance ASIC, CySec and CFTC. If you are looking for a dealer that offers myriad markets to take advantage and make good money, this is the broker that match all your needs. This brokerage firm is well known in the EU countries which mean that you can trust this institution without any kind of second thoughts. It is to be noted that due to some legal regulations and other security clearances, the broker does not accept traders from the USA. EasyMarkets offers myriad assets index and access to up to 175 different financial instruments, which means that you will never feel limited when it comes to trade online. The products range from CFD’s and currencies to precious metals and commodities. It has a very good online community where you can join the largest group on Facebook and participate in several conversations and other discussions related to FX trading. Trading is easy with this broker and there are no strings attached. If you are someone who is entirely new to this format of trading, then you need not worry. The merchant offers a personalised “Accounts Service Manager” who will provide step by step info on market trading. All the trading needs will be satisfied under one single roof and you need not have to move hither and thither as long as you are availing the services of Easy Forex broker. 1) Standard: It requires just $25 to open this account type and the minimum deal size is $50,000. It is the basic or the entry level trade account that most of the aspiring traders go for. The different features include access to all types of trading platforms; live chats and one to one personal training. 2) Gold: This is the second level of trade account which requires a minimum deposit amount of $500 and trade deal size of $50,000. Apart from the features included in Standard account, one can avail added benefits like a personal dealer, special bonus offers and deal chat room. 3) Platinum: With a minimum deposit account of $5,000 and trade lot size of $250,000, this trading account includes all the Gold level features and other benefits like for instance professional charting package, high dealing room leverage and myriad trading tools. 4) VIP: This is the highest trading account level offered by the broker. It is ideally suitable for the institutional clients or investment banks. It requires a minimum deposit of $10,000 to open one’s account and one can avail one of the most sophisticated features like market update calls, market analysis, technical reports etc. A broker that has been operating for the past one decade or so and with its Headquarters based in Cyprus, what more could one ask for its reliability. It is one of the most reliable and well-respected firms in the world with a glorious history. The company has a state of the art security structure which means that one can trade safely without the fear that their personal credentials will be leaked to the outside world. The broker is audited by several firms for internal auditing, which means that you cannot expect a single fraudulent activity. In order to secure the overall privacy of the trader concerned, the broker makes use of VeriSign Services that make use of socket layer technology to encrypt user’s data. The firm has a top layer of firewall both at application and server level. All the clearance related to credit cards is carried out through Barclays whose trustworthiness cannot be questioned for. The merchant has two separate server farms that are protected round the clock by highly professional armed guards, which means that your data and other confidential info are completely safe. a) MetaTrader4: It has got 85 different pre-installed applications with auto-trading and multiple charts set-ups. With 20 years of experience, this trading platform is a tried and tested solution for effective online trade and is regarded very popular among both novices as well as experienced traders. b) TradeDesk: This is another very popular platform for trade as it comes with a personalised trading environment which is ideally suited for those traders who have had previous experience in the Forex market. c) Web Trading: This type of trading platform has access to anywhere, which means that you can trade from anywhere as long you have a PC and decent internet connection. It is one of the easiest ways to place a trade as it offers multi-lingual support 24 hours a week. d) Mobile: This service is made available to the smartphone devices like Android and iOS operating system. One can access the mobile platform even when travelling and it offers several features like live trade, financial calendar etc. 1) First Vanilla Options: You can receive a bonus up to $200 on your first vanilla options trade. You will have access to unlimited profits and you can make use of the flexibility to hedge Forex deals. 2) Insights: By making use of the correct information and right tools you can avail a whopping bonus of $2,000. In addition to above, you will get personalised training and access to multiple assets in the industry. 3) Win Again: Under this particular promotion policy, you can deposit as much amount as possible in your trade account. If you win, the broker is going to double your money and in the event, if you lose, you will be covered up to $200. So are you willing to take the risk? 4) Free Option Guide: While trading and hedging with options, you can avail risk-free trading up to $300 once you open an account. All you need to ask for a free option guide and you will be good to start with. 5) Referral: The broker offers numerous affiliate programs in which you can grab a share of the overall profit made by this merchant. For online affiliates, they can expect to earn up to $600 and 10% commission for sub-affiliates. The leverage options with the broker are pretty much straightforward. One can trade with a minimum leverage ratio of 1:50. The other ratios available are 1:200 and 1:100. The spreads are low which ranges from 3-5 pips; which mean that you get the best returns on your investments. It is important that you choose the leverage after accessing your risk tolerance level and don’t select any of the options blindly. The payment service is pretty nice with timely deposits and quick withdrawal processing. One can fund their accounts through numerous channels like for instance Electronic Wire Transfer, Credit Card, Visa, MasterCard, EWallet etc. Electronic Wire Transfer takes few days to settle owing to certain verification from the bank concerned. Since the broker offers a dealing desk, you can expect a fine customer service in return. On its official website, one can find a list of the dedicated personalised services. There is a Personal Account Manager available to guide you through online trading in financial instruments. The customer support is available through email support, video chats, telephone call etc. By verifying one’s cell phone number, they can receive constant updates and other news from the market. You will be able to use Credit Cards at any point of time without any hassles. One need not have to download any special program to use the trading platform of the broker. There is a dedicated FAQ section where one can find answers to one’s questionnaire related to FX trading. Language support is available in French, German, Italian and Spanish apart from English. When it comes to the longest running brokerage firms in the industry, every Forex expert will spell out the name of easyMarkets. Since its inception, the company has gone from strength to strength and take the industry by its sheer diligence and state of the art services. With offices in more than 160 countries, the broker offers the maximum reach and hundreds of thousands of customers are its regular traders. It offers 4 different types of trade platform and you can select the one suited to your needs. Since the broker is completely regulated by major bodies, there is no need to think that it is a scam institution. If you are someone who is new to trading, the broker will help at every stage and offer guidance how to trade effectively. You will have access to a myriad asset index that you will not find anywhere else. The only downside is that it does not offer trading facilities to USA residents and this is somewhere the broker needs to work around if it wants to be a leader in the market. 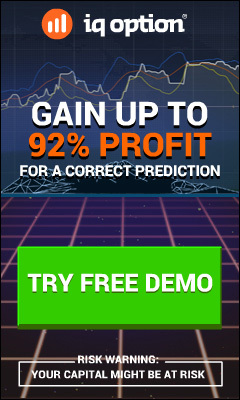 Sign up for an easy forex demo account today and see for yourself whether you are satisfied with the overall interface of the broker or not. So without wasting any further time, sign up with easyMarkets and give flying wings to your online trading career, today itself! It is also highly recommended for you to check our top 10 Forex brokers list!